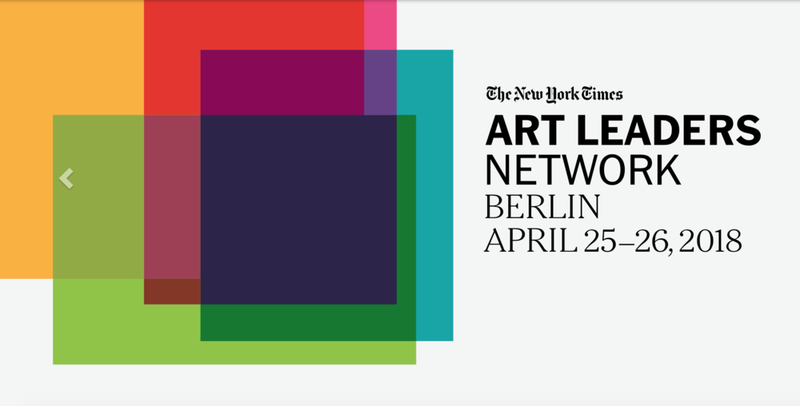 This April 25-26 in Berlin, The New York Times brings together a select group of the world’s most distinguished art experts and influencers—from dealers and gallery owners to architects, museum directors and curators, from auctioneers and collectors to art industry advisers and corporate executives. The economics and dynamics of the art market are changing faster than ever before; driven by new buying habits, an increasingly global clientele, and ever-higher pricing led by shifts in supply and demand. Devised specifically with art and cultural leaders at its core, the Art Leaders Network program will define and assess the most pressing challenges and opportunities in the industry today. Through provocative interviews and riveting discussions, senior New York Times journalists will explore myriad topics, from the impact of economic events on the arts to the outlook for galleries in the age of the mega-dealer, as well as the future of museums and the undiminished fascination with contemporary art. Megan Fox Kelly will represent the Association of Professional Art Advisors at the conference, leading a discussion on the Changing Role and Power of the Art Advisor in the current market.